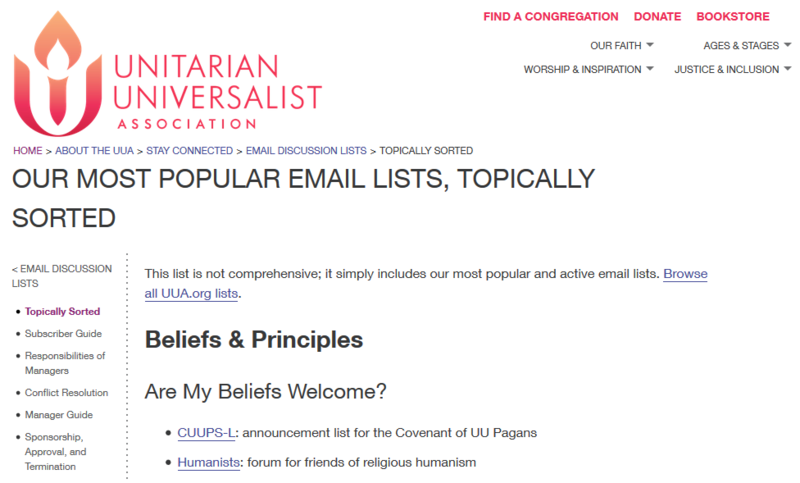 Did you know that the UUA curates a list of many (MANY!) 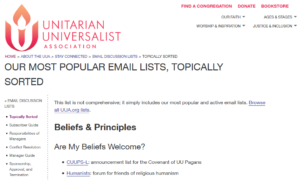 email listservs which facilitate discussions on a variety of UU-related topics? There are ones for families, people who do RE, youth advisors, worship committee members, membership... all sorts of useful topics! Join me in expanding my inbox by subscribing to existing conversations happening about UU issues at the national level!